The T-195 is ruggerised and weather proof Automatic HF Transmitter which covers the frequency range of 1.5MHz to 24.4MHz in 10 bands. The Transmitter is capable of Simplex, Duplex, or Radio Repeater operation and can transmit AM and CW (Voice or Tone) in the MF and HF range and if used with an external frequency shift keyer for RTTY operation. 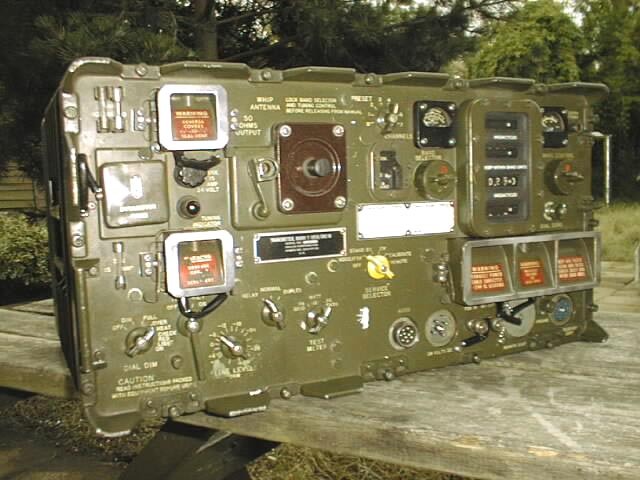 The T-195 was used in US Military vehicles and field command posts. The Transmitter can be operated remotely and has 8 Auto-Tune pre-set channels one of which can be manually pre-set. Output power is 100-125 Watts depending on the input voltage. High-level plate modulation on AM and semi-break-in for CW. The transmitter has a built-in ATU and will auto-tune itself to the antenna used, matching either a 15 foot whip or resonant antenna. Special Air vents and fans keep the radio cool during operation. The T-195 HF Transmitter is supplied in good condition but un-tested, only one is available for sale.